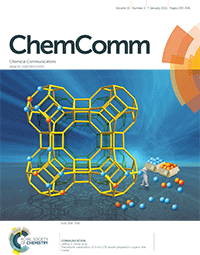 Radha K. Motkuri, Hydrocarbon Processing, was featured on the January 7th cover of ChemComm. The issue also published Dr. Motkuri’s article, written in collaboration with the University of Houston, which describes how the rational design of silicon-rich zeolites has the potential to improve their thermal stability for applications in catalysis, gas storage, and selective separations. Zeolites—microporous, aluminosilicate minerals known as “molecular sieves” because of their ability to selectively sort molecules based primarily on a size exclusion process—are commonly used as adsorbents and catalysts in commercial, industrial, and biological (medical) applications.